I’d thought I’d give you an early sneak preview of our special offer that is running throughout the month of October. 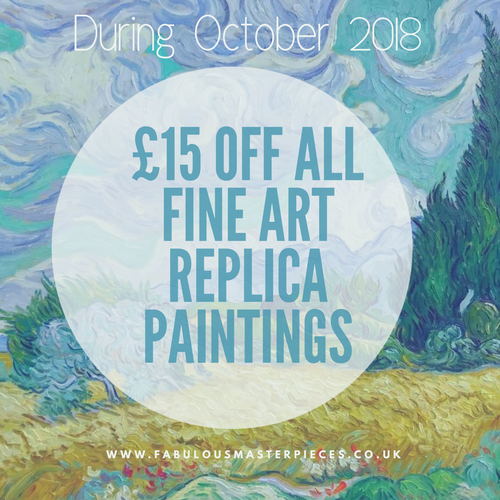 If you commission a hand painted fine art reproduction oil painting from us at Fabulous Masterpieces we’ll take off £15 the total price when you use the code Googlereplica15. 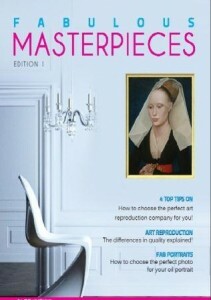 This offer starts on 1st October and ends on the 31st October and applies to all fine art reproduction paintings. Offer only applies to art reproductions, not to custom oil portraits based on photographs.